[by Yoonjung Yi] Boy group 2PM member Nichkhun was elected as the most influential Thai in China for this year. 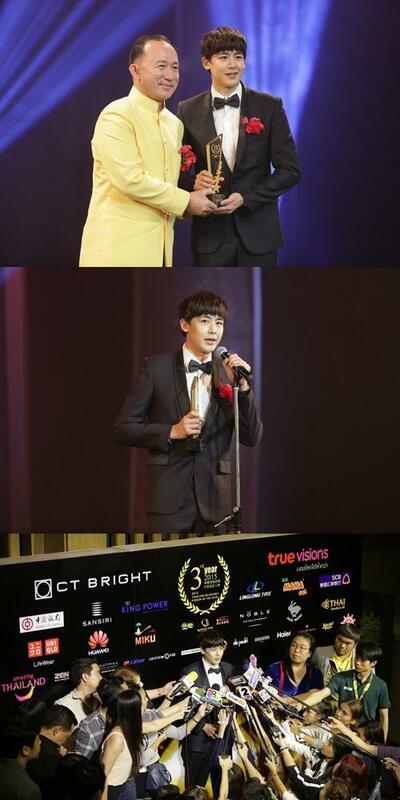 On November 26 at 6:30pm CST, Nichkhun won the ME Cinese Online Media Popular Awards during ‘Thailand Headlines Persons of the Year Award’ held at King Power Aksra Theater in China. ‘Thailand Headlines Persons of the Year Award’ is given to Thai politician, economist and entertainer, who have been the most influential in China. This year has been the third time that the honor was rewarded.